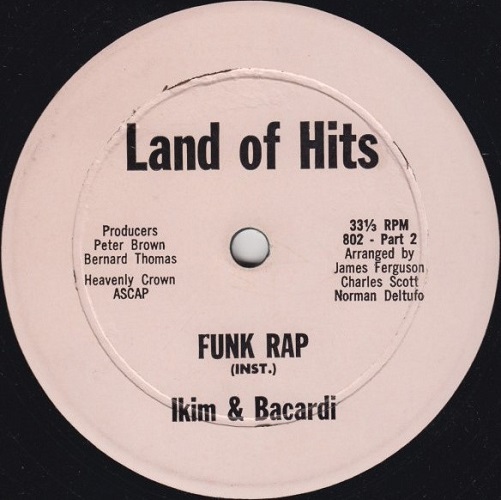 This is the only release from Ikim & Bacardi and is produced by Bernard Thomas and Peter Brown. It is a classic disco rap track of the time but more importantly it is also the debut vinyl release by Cutmaster DC. The track features male rapper Ikim aka Cutmaster DC, trading verses with female rapper Bacardi. Cutmaster DC began as a DJ but lack of money meant he didn’t have a complete sound system so, turning to his schoolboy poetry skills and with a little tuition, he decided to rap in order to build up his name. Read the full interview with Jayquan HERE.